(This is a repost of a short piece I wrote for the Shells and Pebbles blog a while ago, but I thought it would not be out of place here. However, since I didn’t really investigate the origin of the feathered dinosaur idea, I’m a bit unhappy with my assertion made here that Reichel was the first to propose the concept. Hence the question mark). While the rest of the world was dedicating way too much time and resources to exterminating one another, Switzerland remained a relatively tranquil spot in 1941 Europe. 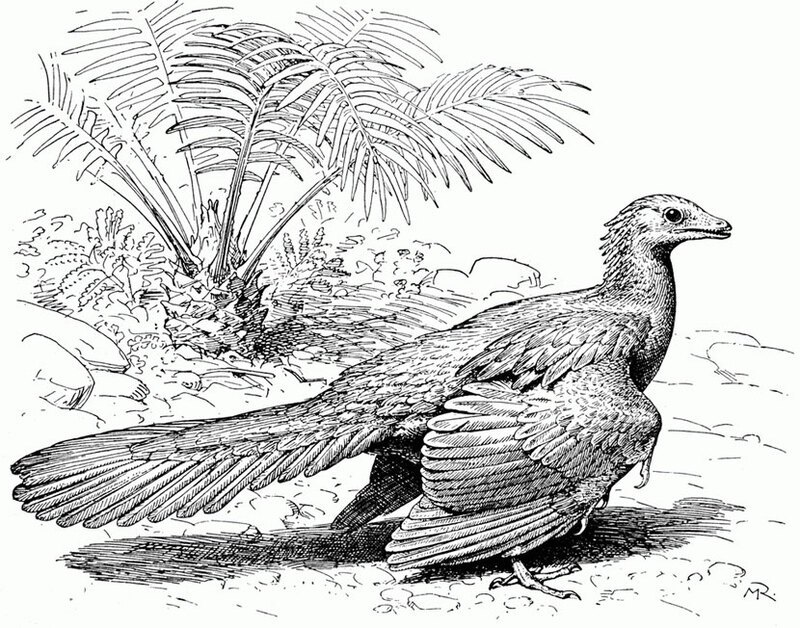 In that year, the micropaleontologist Manfred Reichel published an article outlining his views on the ‘first bird’, Archaeopteryx lithographica. Reichel’s text but particularly his illustrations are at least partly inspired by the work of Gerhard Heilmann in his very influential The Origin of Birds, a book that was to dominate the field of avian and flight evolution for decades afterwards. And like Heilmann, the exquisite artwork serves to support the ideas set out in the article. And like Heilmann, Reichel can be very critical of earlier ideas.